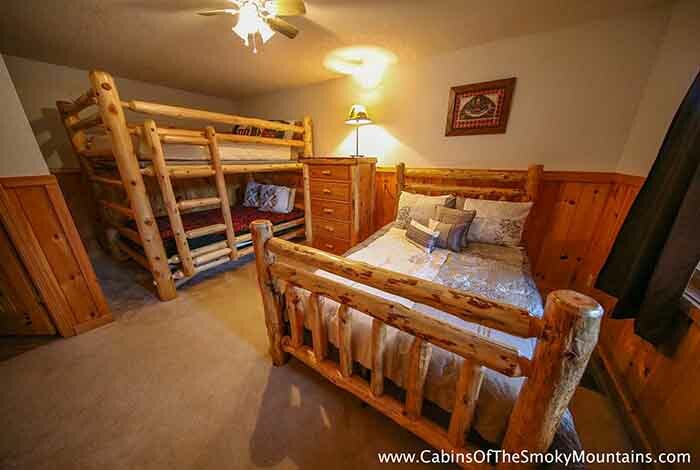 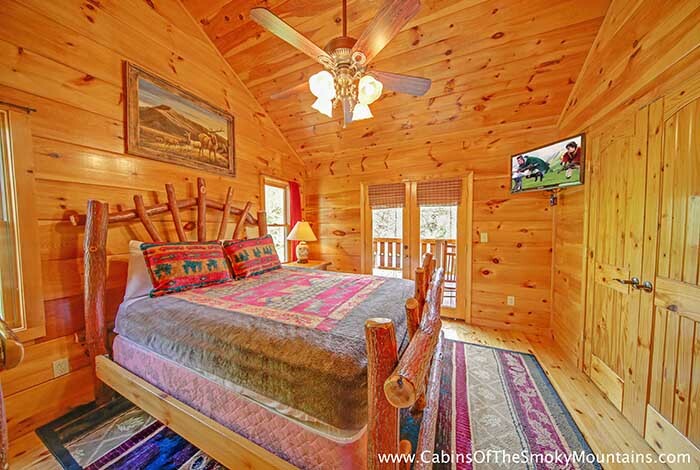 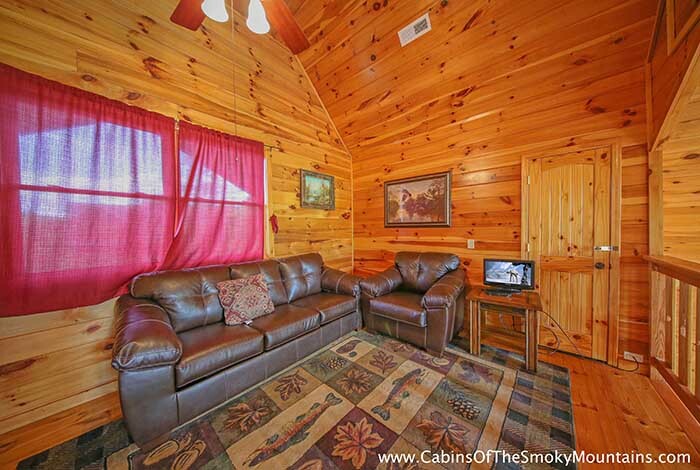 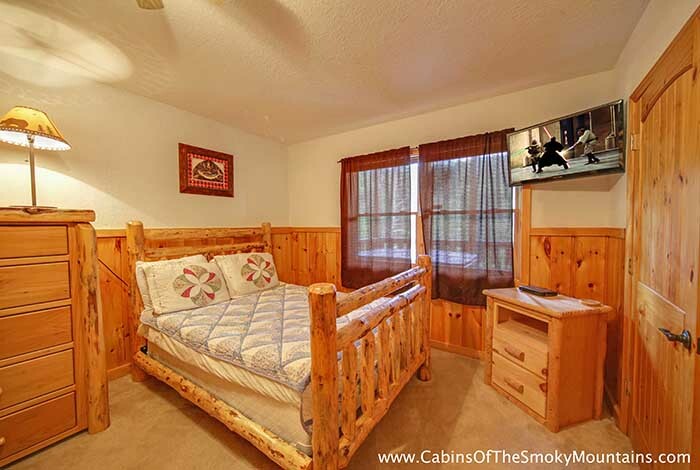 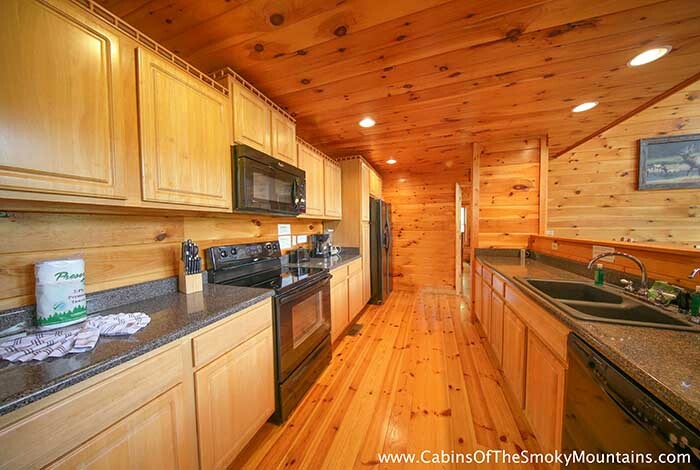 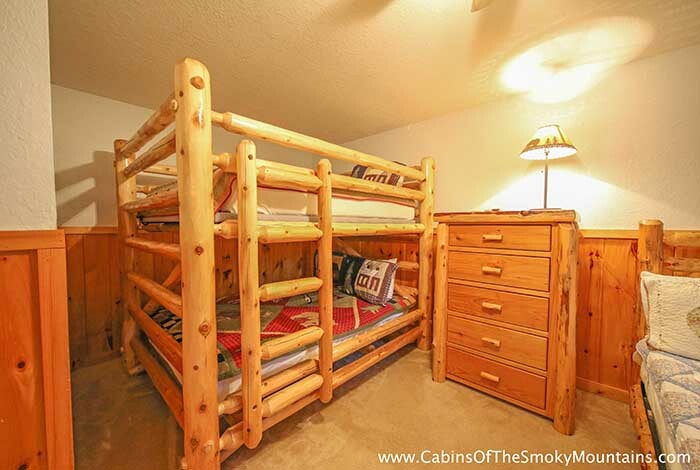 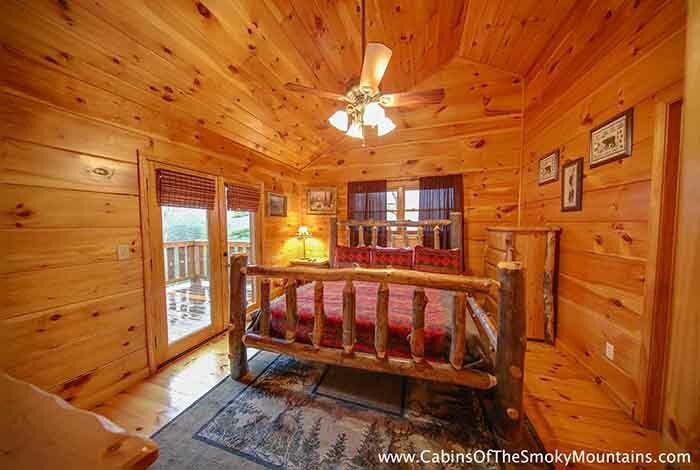 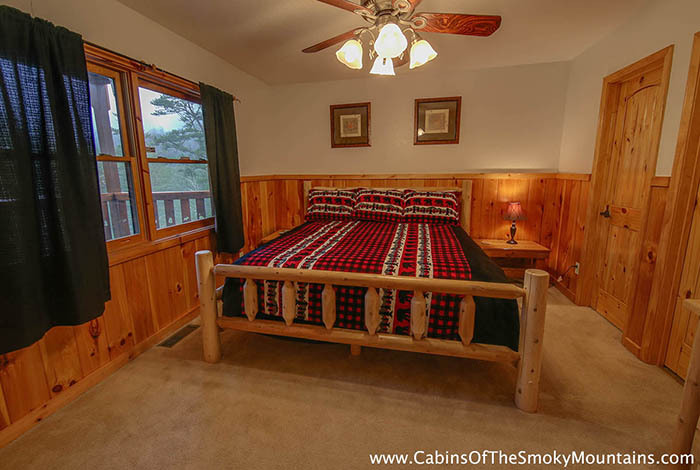 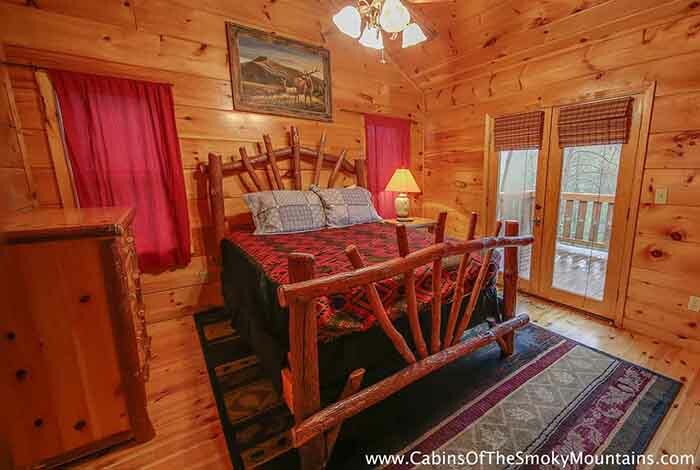 Looking for a peaceful, spacious, Pigeon Forge cabin rental? 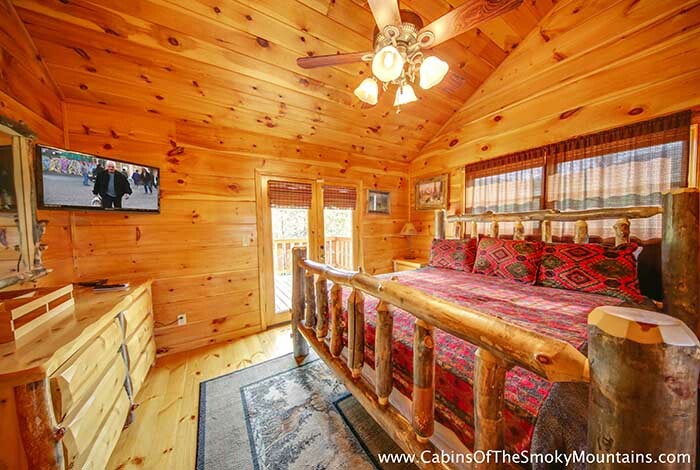 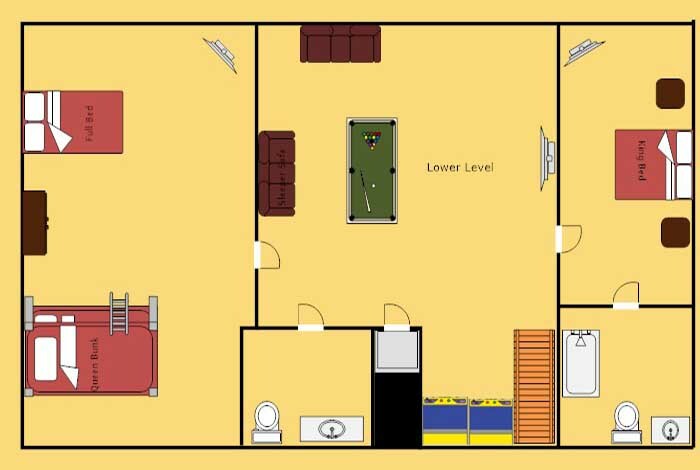 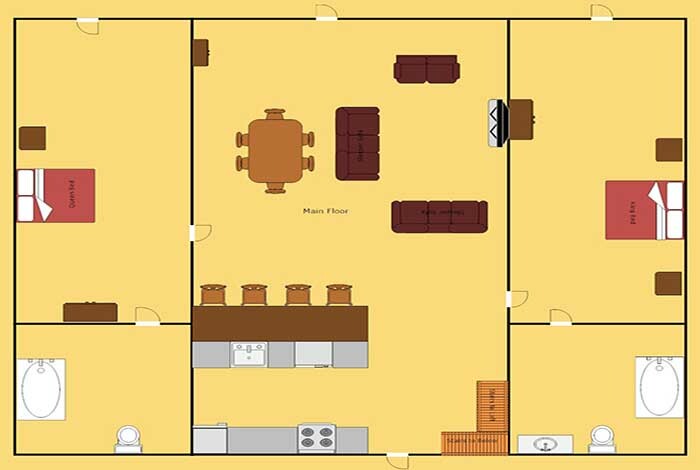 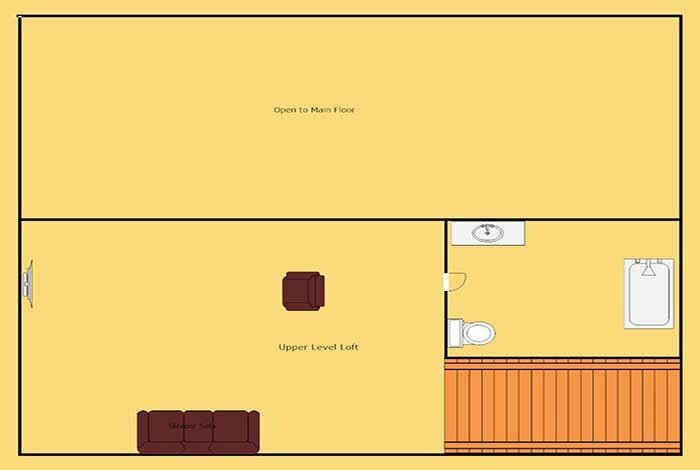 Hidden Owl Lodge is the 4 bedroom, luxury cabin for you! 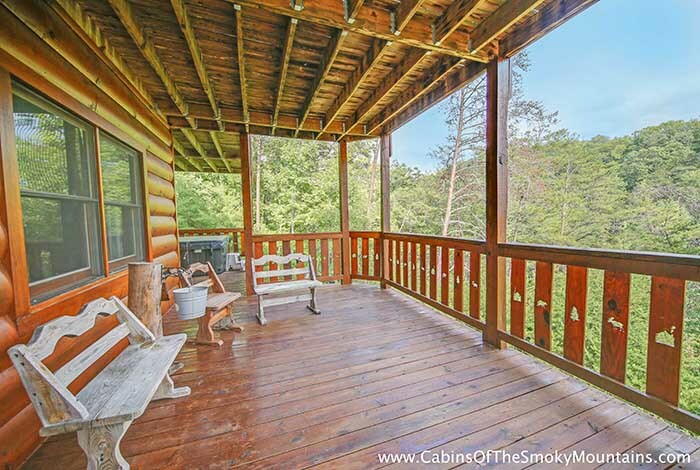 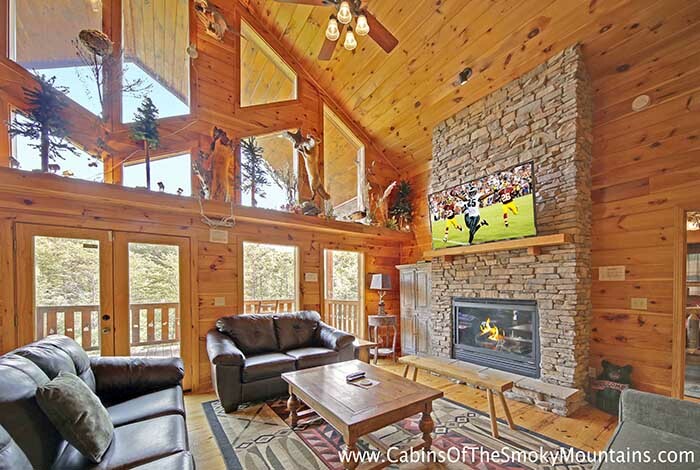 This sweet hushed cabin in the woods, is the perfect getaway for you and your family or friends . 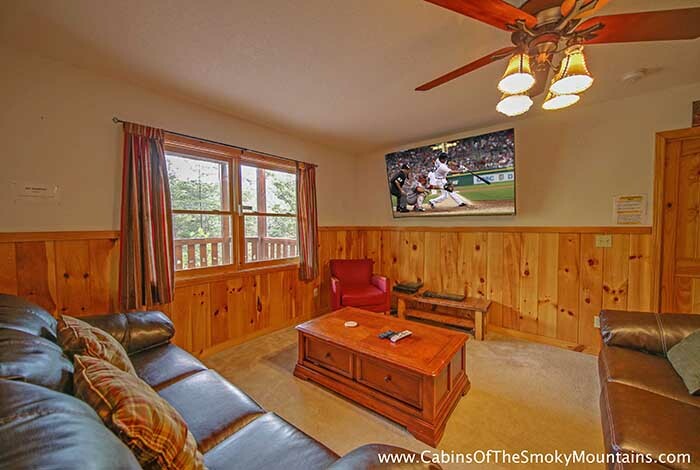 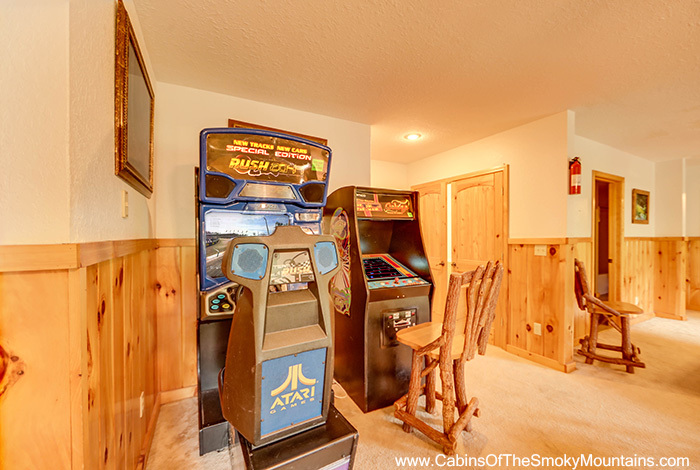 You can enjoy the impressive game room this cabin offers packed with a pool table , Ms Pac Man, Donkey Kong, Galaga Arcade Games, NASCAR Driving Simulator, and Xbox 360 . 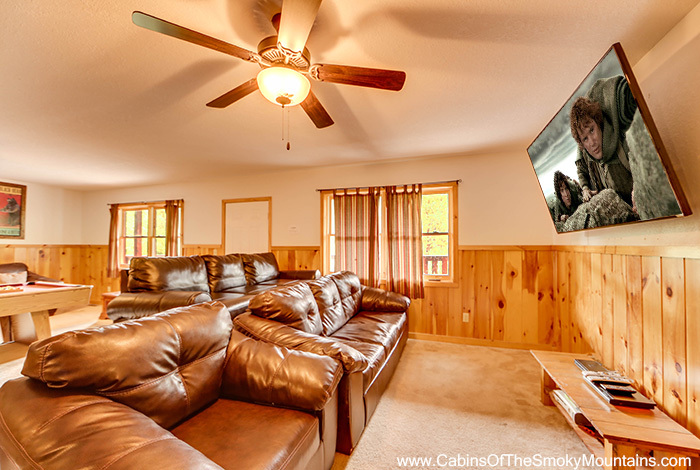 You can also kick back and watch some movies on the cabins 70" LED BluRay Theater with comfy sofa seating and theatrical sound! 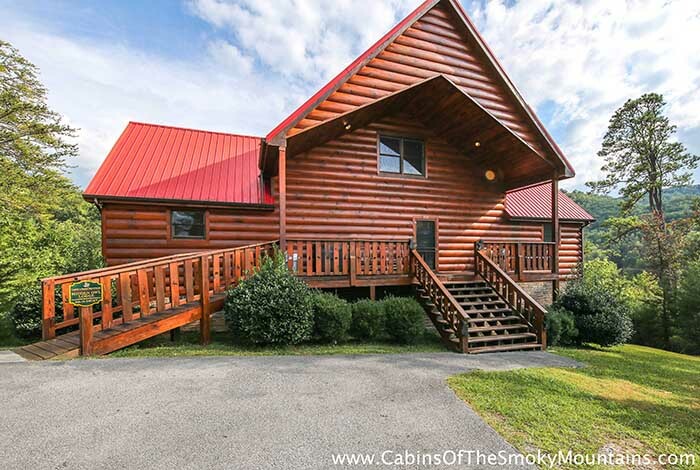 If you want to spend the day in downtown Pigeon Forge, you're just minutes from many great restaurants and attractions! 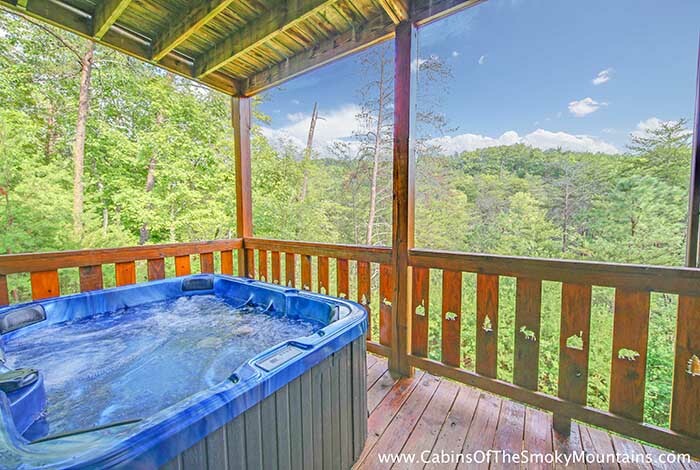 After your fun filled days, kick back, relax in the warm bubbly hot tub and take a look at that superb view of The Great Smoky Mountains. 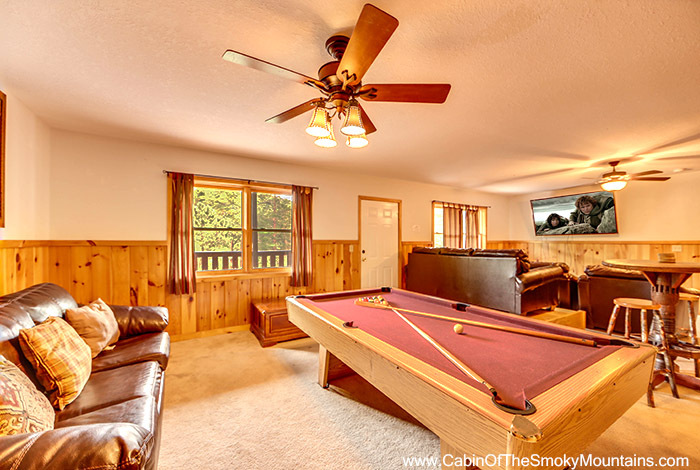 After all, this is what vacation is about. 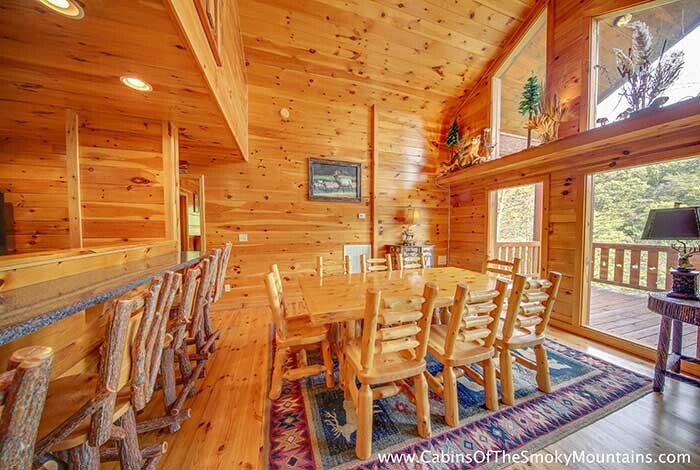 Join us in this marvelous cabin, and have the vacation of your life !